Trade fashion event Pure London is to launch a new sourcing platform in a bid to bring together global suppliers, buyers, and brands and place all aspects of fashion sourcing and manufacturing under one roof. Held alongside Pure London and Pure Man, Pure Origin is the gateway for international manufacturers to break into the UK market, say event organisers, with more than 40 manufacturers from around the world, including Blueberry Impex and Timeswell Textile from Hong Kong and Ribeiro & Matos from Portugal, already confirmed. Meanwhile, an upsurge in interest in British manufacturing is reflected in a strong UK contingency at the show with Oxford Blue, LS Manufacturing Ltd, Gil Design Studio, Kalopsia Collective and BeFab Be Creative UK signed up. "Offering efficiency and time-saving benefits, Pure Origin will showcase a curated selection of international manufacturers, textile producers and white labels – it was the obvious extension to the globally recognised Pure London brand," explains Julie Driscoll, managing director at Pure London. "The UK is renowned for its world-class retailing, booming e-commerce sector, innovative independents and resilience and following extensive research into the marketplace Pure Origin was created to deliver all aspects of fashion sourcing and manufacturing under one spectacular roof at London Olympia." As well as exclusive Pure Origin briefings, content from trend leaders WGSN and colour methodology and forecasting workshops in collaboration with COLORO, visitors to the new section can benefit from one-to-one advice and tutorials specific to the fastest growing portion of the market – menswear. Pure London expects to enlist over 800 brands from 48 countries and attract more than 10,000 UK and international visitors. International growth has been driven through 13 new geographical markets including Peru and Malaysia. 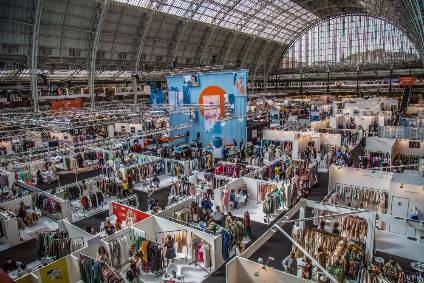 The next edition will take place on 11-13 February 2018 at London Olympia, with brands showing across womenswear, menswear, young fashion, athleisure, footwear and accessories.